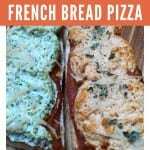 Frozen French Bread Pizzas – a childhood memory for many. 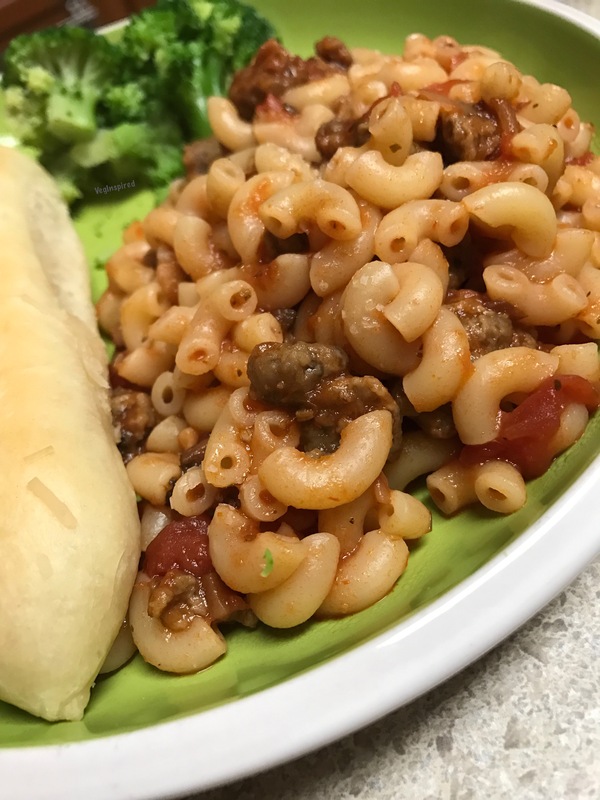 Quick and easy dinner option full of sodium and preservatives. 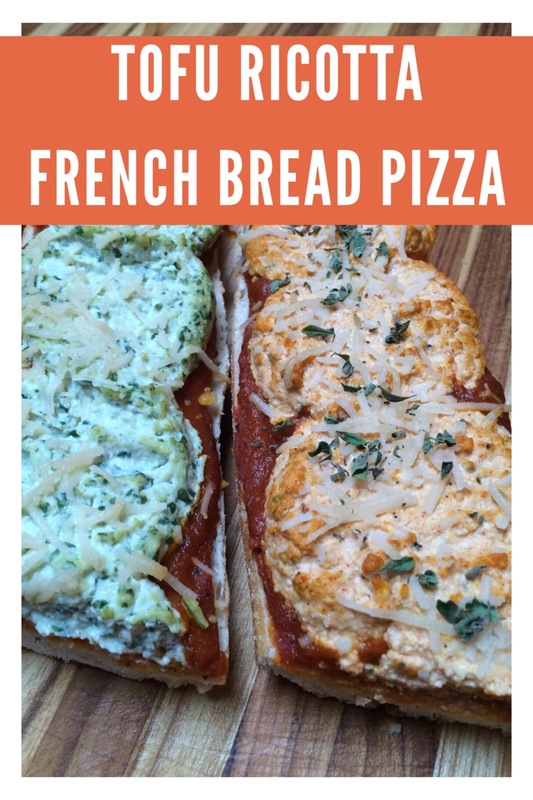 When timing calls for a simple dinner grab a baguette, pizza sauce, your favorite vegan cheese (or not), and toppings and voila – quick and easy vegan dinner – Vegan French Bread Pizzas. When you have a few extra minutes to whip up some homemade vegan tofu ricotta style topping – pull out your food processor and grab these recipes. You won’t be sorry. 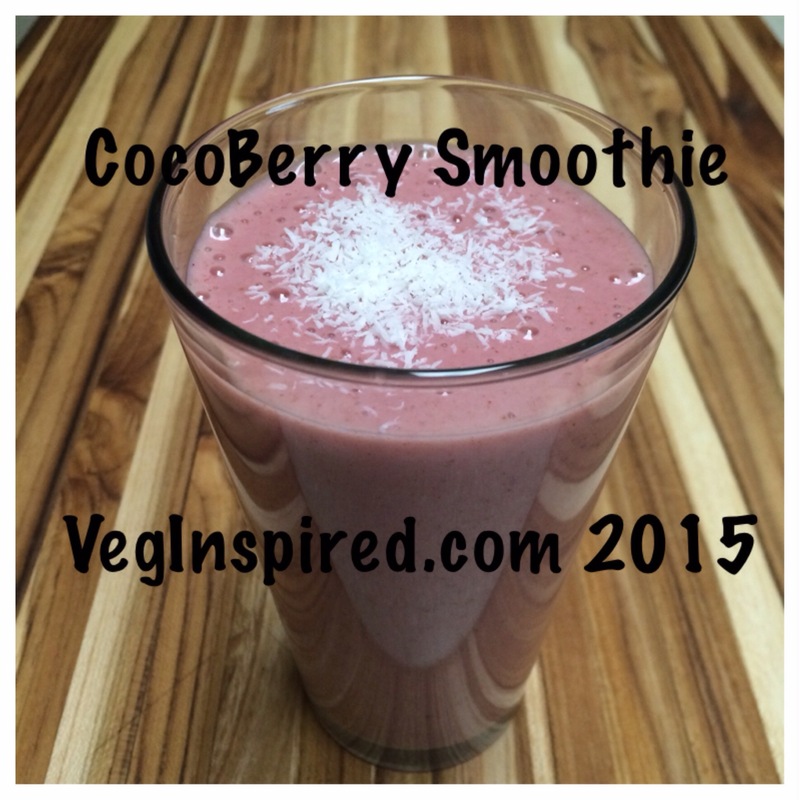 A Plant-based version of a childhood favorite! 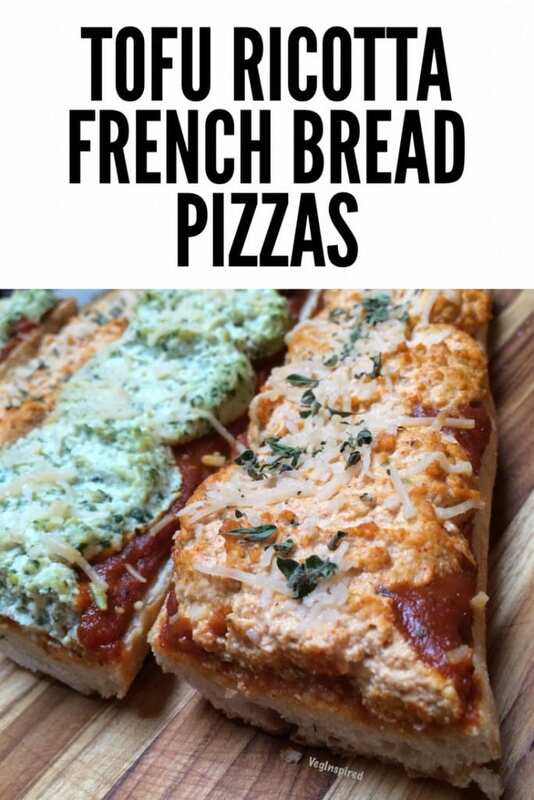 Place scoops of tofu ricotta on each half – you can mix and match. Process in food processor until smooth. 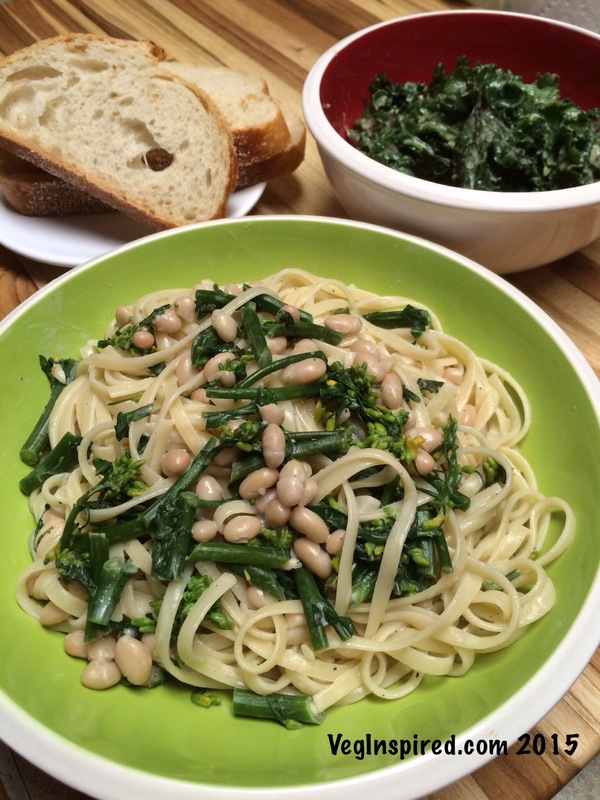 We served ours with a big green salad dressed with balsamic vinegar. Any leftover sauce and tofu ricotta can be tossed with pasta. 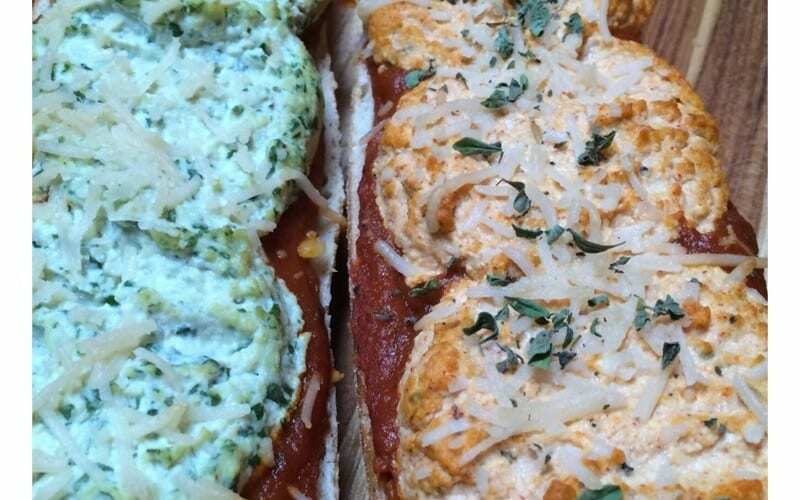 We’d love to hear your thoughts about the tofu ricotta flavors. 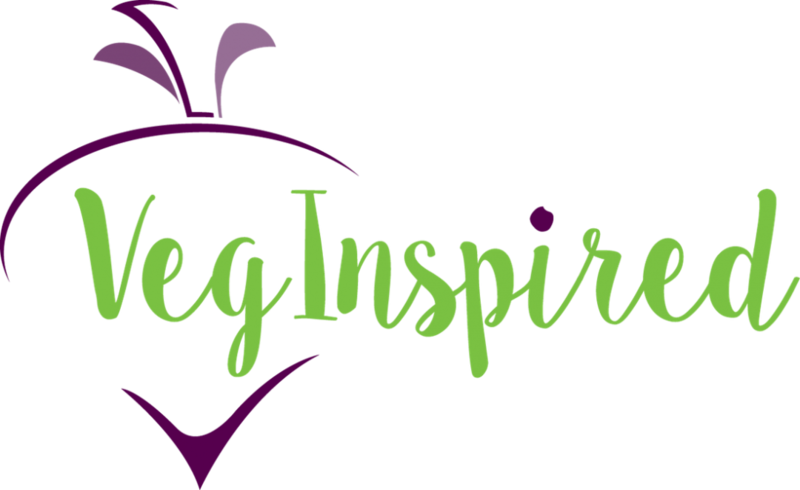 Share your pics on Facebook, Instagram, Twitter @veginspired #veginspiredfoodie or in the comments below.